I just called City Garden and their property management office is not aware of this Glass Recycling program… when will the sites in phase 2 be ready? I have 4 cases of water glass bottles that can be recycled. Where can I find the collection point at City University? 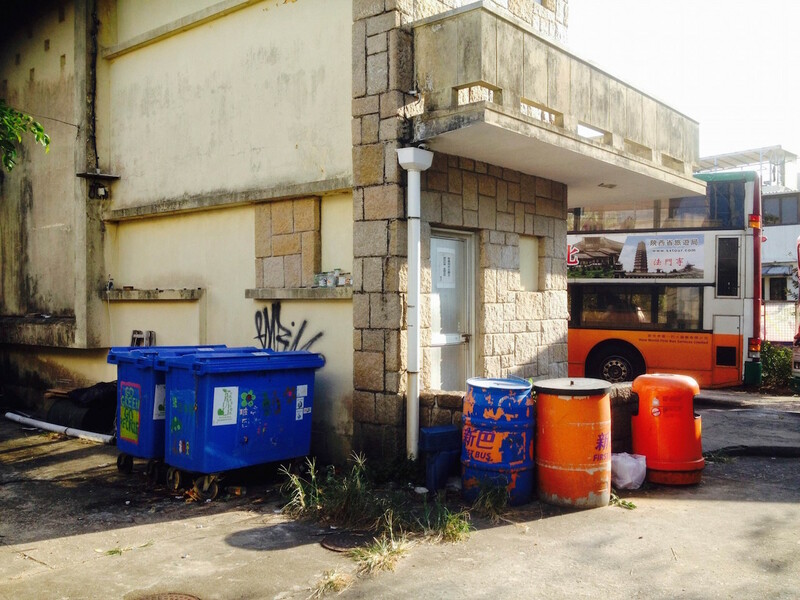 Bins are placed at the refuse point near Nam Shan Chuen Rd entrance. 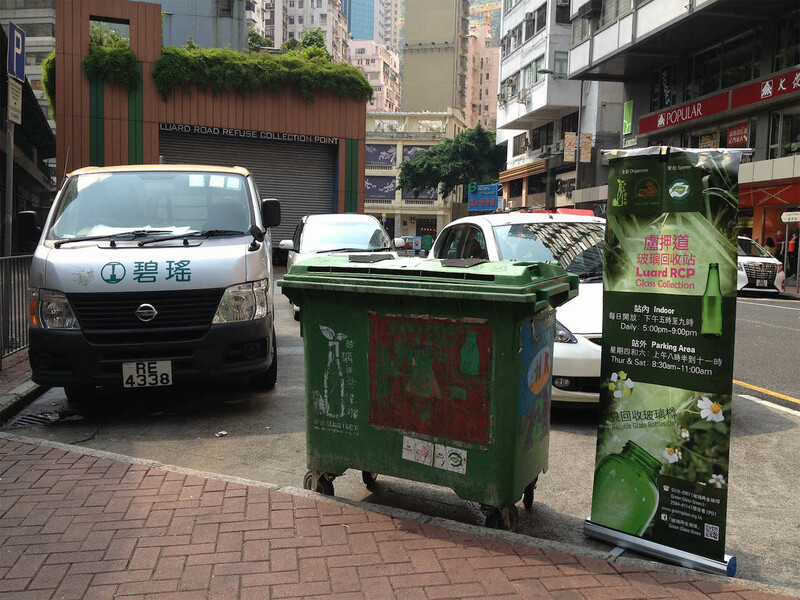 I learn the glass bin has shifted to the refuse station at Tat Chee Rd. Please take note. So happy to see that we finally have recycling of glasses now. How about Sai Kung??? There are lots of westerners living there and we drink lots of wine. Your suggestion does make sense. However, the Green Glass has limited resources and can’t cover Sai Kung at the moment. Transportation is the major cost. Please reflect your view to EPD etc and ask them to follow up. May I know where is the collection point in TST? And could u please tell me where I can find the detailed address of the collection points in your website? The target group in TST is the bars. We wouldn’t find location for placing collection bins. At the meantime, we are updating the new points and will post up soon. 請問 soho 酒吧區的回收詳情? 我常在附近沒見玻璃回收箱, 是否只得等義工們出現呢? 什麼時間/地點才見到他們?? 謝謝. 請問有沒有上門回收玻璃公司的資料提供? 我所住的私人屋苑沒有回收玻璃的意願, 而且新界新田乎近沒有回收點, 回收玻璃有一定的困難. 每個月我家都大約有三十個玻璃水樽 (750ml) 有待回收, 每次棄置都覺得十分可惜, 希望盡快有上門回收玻璃公司之資料提供. Hi, could you please consider having a public collection spot anywhere in Mid-level area(Robinson Rd,Cain Rd etc)? There are many foreigners like us would like to recycle wine bottles, which could be a lot.Thanks! May I know the collection point / address at Soho area? We don’t have a space to place glass collection bin or related facilities. Either you leave your glass bag (get from the globe 45 Graham St if you can save a lot) before 7:00am on Mon, Thurs and Sat aside the glass bags from the bars at the junction of Peel St and Hollywood Rd., OR at the pavement of loading bay outside LKF Hotel on Wyndham St. Please take note of time. If only a few glass bottles, the Globe is willing to receive it. I live near Kam Ping Street in North Point. Is a collection box nearby? It will be good if the place is opened 24/7 or at least after office hours. Thank you! It will be great to have a collection point on Kam Ping Street or on Ming Yuen Western Street as there are a lot of residence and restaurant there. Please be more specific about the spot such as the exact location and who manages it? Not too sure about the rest. I will need to walk around and find out. But there are recycle bins on the podium of Ming Yuen mansions (phase 2) on Peacock Road and it is management by ISS EastPoint Property Management Limited. 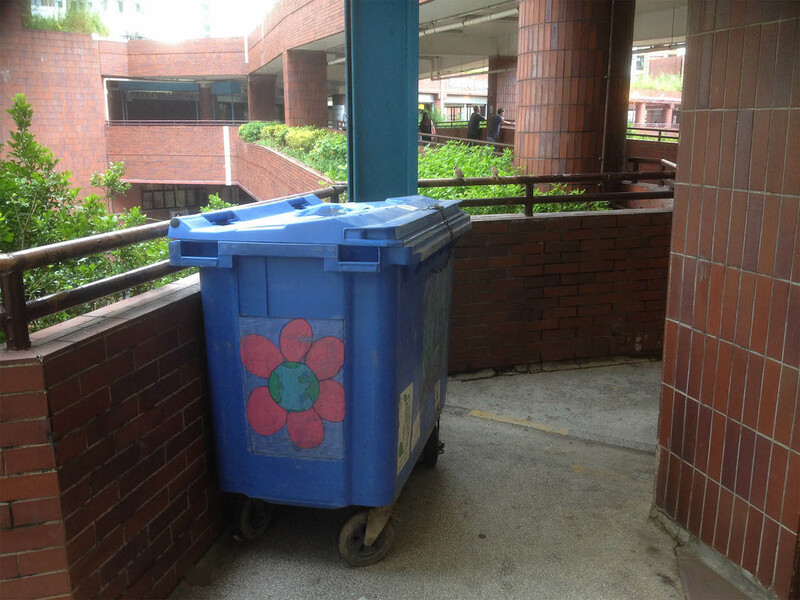 where is the recycling point at HKBU? recycling bins and boxes dont include glass. How about Tseung Kwan O? I drink 2 bottles of Perrier a day, plus several bottles of wine per week. 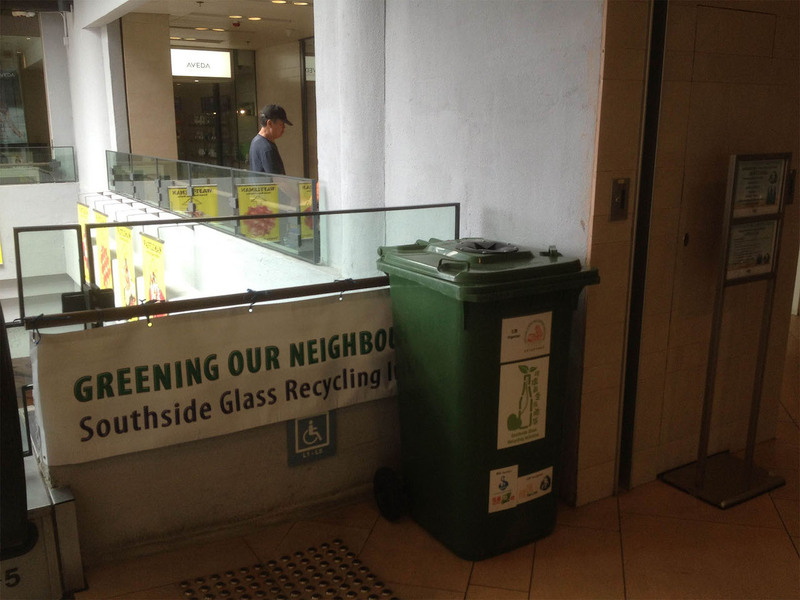 I do feel sorry about Tseung Kwan O and Sai Kong area for lacking glass recycling facilities. We need the initiative from the ground. So please identify the actors first. I suggest that there should have some recycling bins placed inside the campus of The University of Hong Kong. Are any glass bins in the campus? Pl check it out. Green Glass is happy to be the glass partner. Would you consider ‘Tai Kok Tsui’ or Metro Harbour View? Hi, is there a glass recycle bin in mongkok or tst? 本人是馬鞍山居民 ，新港城商場在馬鞍山區是一個人流非常多的地方，如果可以在該商場設置回收點，再多加幾句環保標語有助市民了解回收玻璃的好處 ，那就太好了 😀 。因為我 經常儲起許多玻璃樽，到最後都不知道該如何處理掉。實在是太浪費了，其他地方對我來說遠了一點 ，而且玻璃也算重呀，:) !!! 另外， 在yahoo 看到了你們的新聞短片 , 真的很感謝你們的付出，THX ～ !!!! 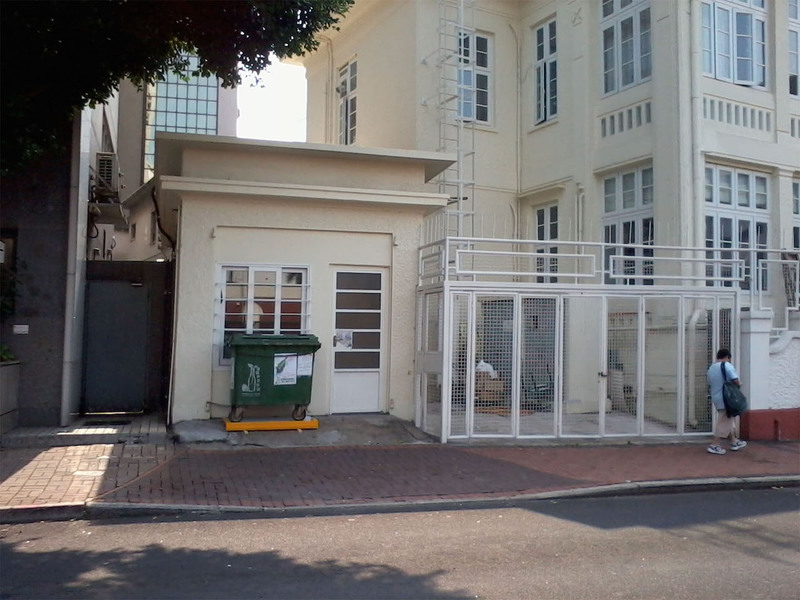 Tung Chung Crescent,Block 3 and 6, outside their front entrance. Is there a collection point at the American Club at Tai Tam ? Do I just leave the bottles in their recycling bins or do I need to specify it’s for this program? I think the Club is happy to share the resources of glass recycling. Please find the glass bin and drop in empty glass bottles. 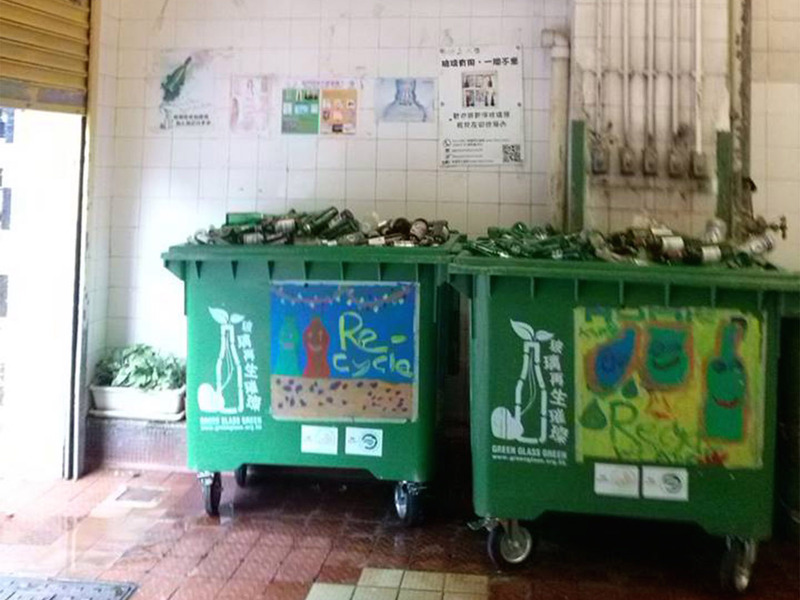 Hello, we are not able to identify any glass recycling center near mid level, can you please help us? Thanks a lot. 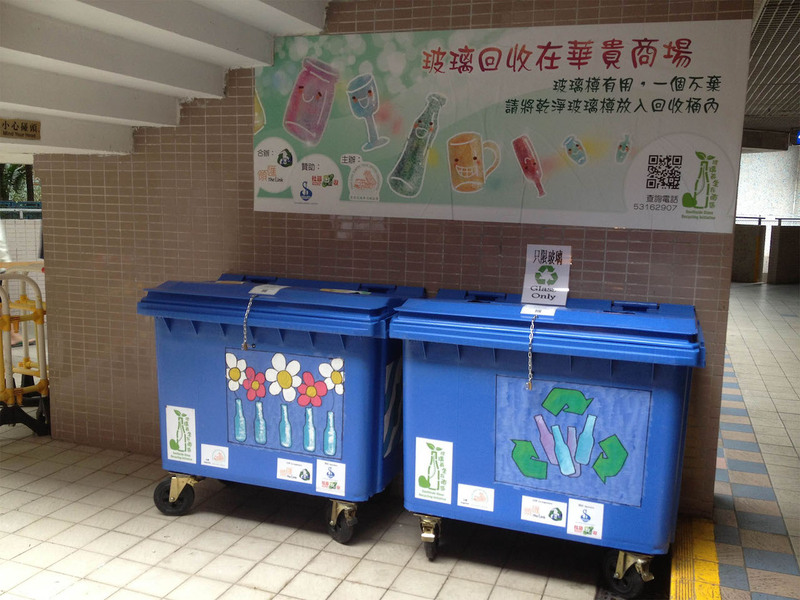 Do you have plans to put glass recycling bin in mei foo? Mei Foo Sun Cheun is a huge residential area. Please help. We are happy to extend the glass collection to where there is co-partner. Very often, it is the estate management and/or the owner association show the initiative and work out the logistics. We are looking forward Mei Foo’s initiative. any collect point in Tai Kok Tsui or Olympic station? Would you please arrange one for us? 請問可以在藍田地鐵站附近增設回收點嗎? (如麗港城, 匯景花園, 鯉安苑等), 因德田在山上很遙遠.. THANKS. I was a vegetarian for nearly 20 years but added meat back into my diet regime about one year ago when I made the switch. 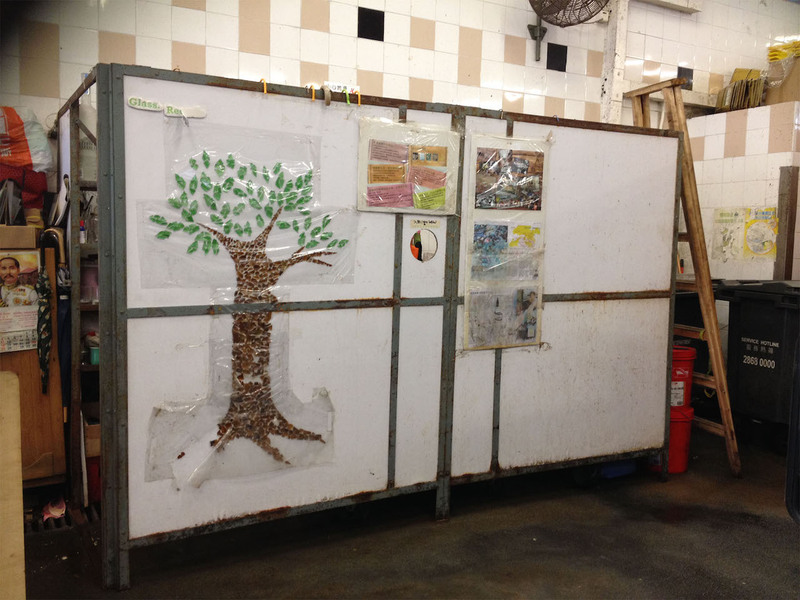 Why the sai yin pun waste point has only plastic and paper recycled bin. Can we have a recycled bin for glass bottles here too? Should I get rid of all wrapping papers on beer and wine bottles before leaving them in the recycling bins? How can I make sure that the bottles are appropriately processed and at the end recycled? I live on Tin Hau Temple Road. Thank you. The crusher for producing eco-pavers is good enough to differentiate paper in the process. Therefore, it is ok to leave the labels on since they are relatively difficult to remove. If other easy removable wrappings, I would take it away before sending to glass recycling bins. To Green Glass Green, we pay a lot of efforts to recycle a glass bottle, we are monitoring the process to make sure our efforts don’t get into ruin. The crusher can handle the paper labels at the eco brick factory. If removing the labels is difficult, I would suggest leave it to the factory. For the recycled glass bottles, I am sure that we send them to the Tuen Mun factory immediateoly once the collection is done.